Orders are delivered in proper sequence for easy install. 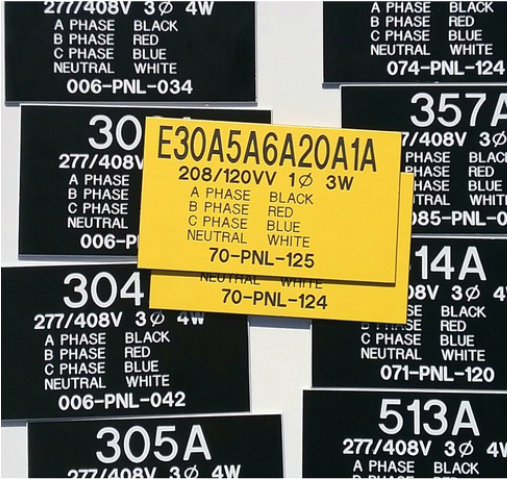 Phenolic thermoset plastics are an optimal high strength label material, for service in the electrical and many other industries. It's a good choice when a tag needs to stay clear and legible for a long time in a potentially challenging environment. 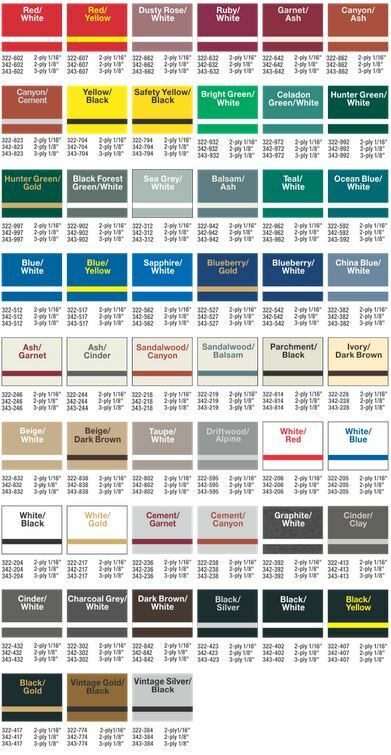 Sometimes referred to by brand names --lamicoid, norplex, bakelite, or micarta, --Phenolic is a rigid plastic laminate, available in layered safety colors. Our deep engraving process cuts graphics through the colored surface layer into the base material color beneath, resulting in a clearly legible and extremely durable product. Abrasion and chemically resistant, rated for continuous exposure up to 200F (97C), electrically insulating and UV resistant for in or outdoor applications. Conforms to USA Mil spec ASTM D 707 ES-1, ES-2, ES-3, L-P-387 , OSHA safety regulations and ISO guidelines. 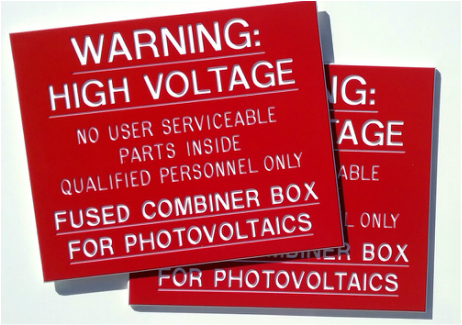 Phenolic signs and labels are commonly used for electrical panels, gang covers, fire safety codes, control panels and buttons, sprinkler systems, designation plates, switch plates, name and door plates, cabinet and equipment labels and valve tags, in laboratory, heavy machinery, mechanical, mining, electrical, maritime, computing, medical, pharmaceutical, civil engineering and military applications.